Online content is certainly getting a lot of buzz these days. That said, few recognize the true power of content as a tool for gaining access to the kinds of power brokers that can make your career. 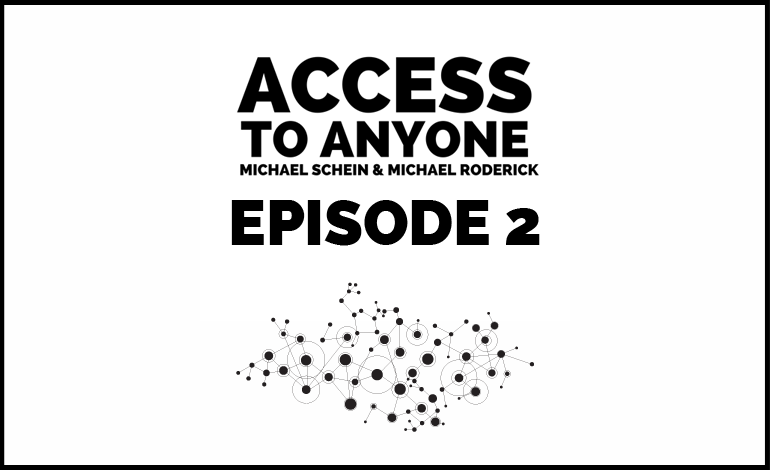 On today’s episode, hosts Michael Schein and Michael Roderick reveal the secrets of how you can use content to get access to anyone. Why offering to feature someone on your blog or podcast will open doors for you. Innovative ways to rejuvenate tired trends in content creation. How to build authentic relationships through social media. Valuable lessons about content creation and relationship building from Spiderman creator Stan Lee.